We can offer in-house welding services, which allows us to undertake welded components that also require machining for accurate work pieces. 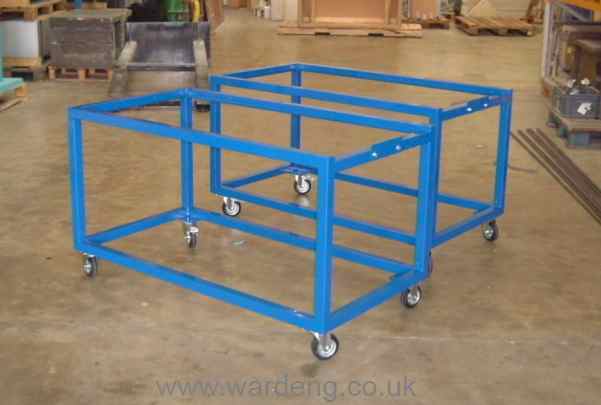 We also produce welded structures and frames for many applications. Frames that require maximum flatness are built on a slab, combined with methodical weld planning giving the best possible results. 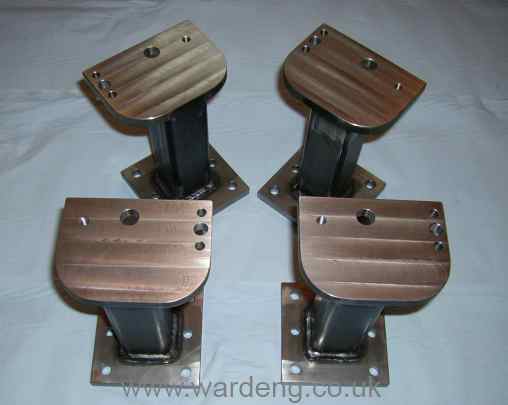 Welding repairs can be offered to industry as well as the general public. Please contact us to discuss your requirements. 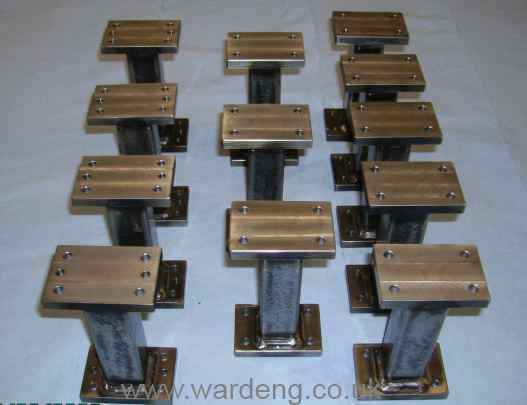 Welded and machined towers, checking fixture base, welded and machined towers, inset top checking fixture trolleys.